Keep your kitchenware sparkling by using the proper tools to get the job done! 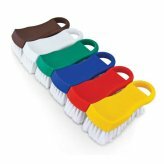 Cleaning brushes in various shapes and sizes to accommodate to whatever sized pot or pan you are cleaning! 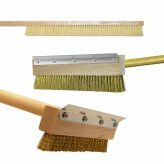 Brushes available for scrubbing, in your commercial kitchen, bakery, butcher shop or deli! 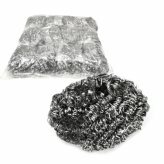 Stainless steel sponges and cutting board brushes available to ensure there is no leftover residue on your kitchen tools!